20 Visit B&K @ Columbus Soul! 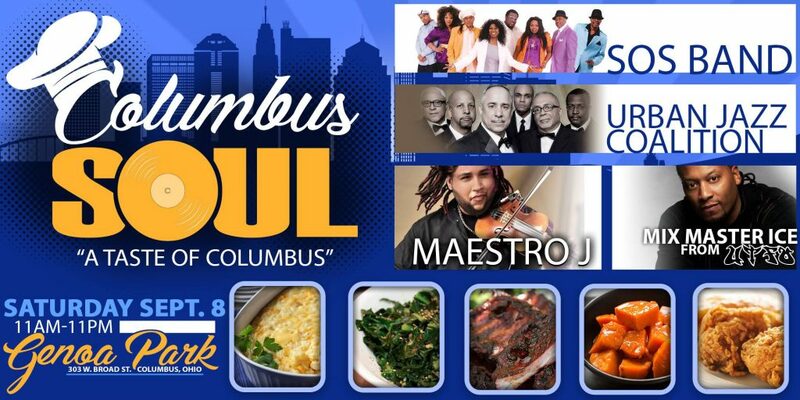 Visit B&K at Columbus Soul: “A Taste of Columbus” on Saturday, September 8, 2018 at Genoa Park, located at: 303 W Broad Street Columbus, Ohio 43215. Tickets can be purchased in advance at Eventbrite. B&K Smokehouse was featured on The Main Street Corridor, courtesy of Capital University. For more information, visit mainstreetcorridor.org. See our video below! Capital University students proudly present a series of one-minute profile videos highlighting several businesses of the Main Street Corridor. Videos created in partnership with the Main Street Business Association and funded by the Capital University Community Engagement Grant. On this episode, [Columbus Neighborhoods] continue the exploration of Columbus’ connections to the Vietnam War. Discover Lockbourne Air Force Base’s (now known as Rickenbacker International Airport) role in the war, and learn about the effects of PTSD and local treatment resources. Then two African-American veterans share their Vietnam experiences, and we’ll introduce you to a Columbus couple who opened their home to Vietnamese refugee children. Click here to learn more about Columbus Neighborhoods. If you’re looking for some good old-fashioned barbecue, look no further than B&K Smokehouse. Our smoked meats come with huge portions and intense hickory flavor. Try the ribs smothered in our house “special sweet sauce” with a side of collard greens, green beans, and freshly baked cornbread – you won’t be disappointed! From smoked turkey to brisket and homemade baked macaroni-and-cheese, B&K is the perfect place to bring friends and family for a satisfying meal. Visit B&K @ Columbus Soul!